My friend May and I were in for quite the adventure when we recently went on a tour of Sydney using A2B electric bikes. We hired the ebikes from Sydney Electric Bikes and the friendly owner Jake who is a passionate advocate of electric bikes. It is a completely safe and convenient way of touring Sydney or commuting to and from work. Jake bikes all over the city and shared that using the ebike is a great way to stay fit, you are still peddling and getting exercise, just with the added boost from the electric engine. Jake also said once you try an ebike it is very hard to go back to a normal bike. I would have to agree with him, it was such an easy convenient experience. The A2B bikes are sleek with a silent electric engine that is discreetly located in the wheel of the bike. The best part for me was the ease of going up hills. I love riding bicycles but usually dread the steep inclines. With the ebike I literally felt like a super hero peddling up large inclines with ease. It was a thrilling feeling and really empowering to be able to take hills that I would usually have to hop off my bike and walk up. 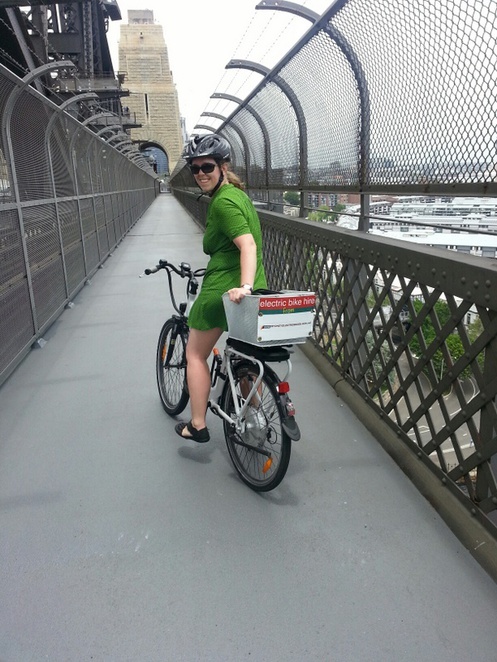 I also really enjoyed touring Sydney on the ebike. Jake gave us an awesome map (there is also an app you can download) so we could go around and see the best sights of Sydney all with the ease of the electric bike. May using the bike lane on Kent St. I could see the most breathtaking views from the Harbour Bridge, Observatory Hill, through to the NSW Art Gallery. Sydney now has 2 hire locations for A2B electric bikes for both commuting and recreation. 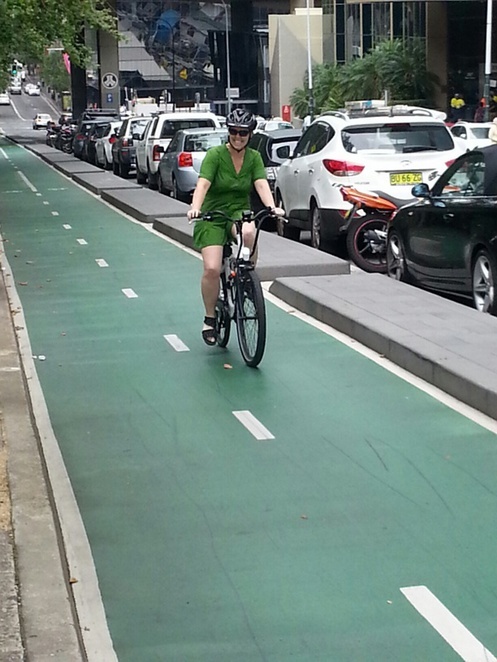 Sydney has millions of people that ride bikes every week, and I can see there will be a huge surge in ebikes riders as they make cycling more accessible to less experienced riders. 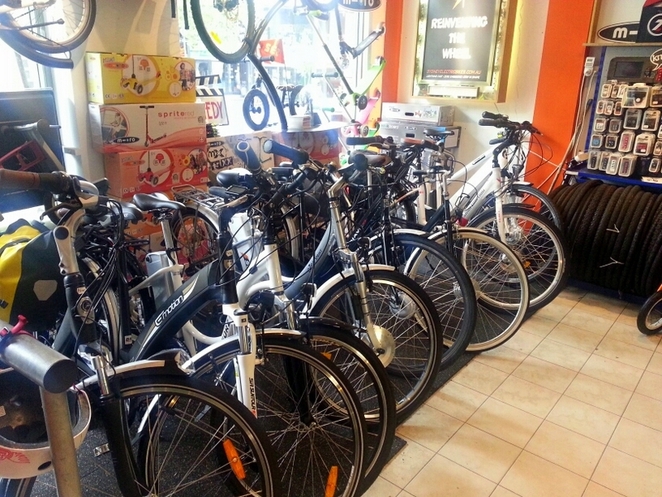 Whether you are a seasoned cyclist or in search of a new hobby for 2015, give an A2B e-bike a try. A2B are so confident that riders will like their e-bike experience that they are offering one lucky rider the opportunity to win a new e-bike in the New Year. To join the #A2Bselfie competition – hire a bike, take a selfie and post it with the #A2Bselfie tag. Try out an ebike, it's an experience you won't soon forget and one you will want to repeat often. I know I'm ready for my next ebike experience.